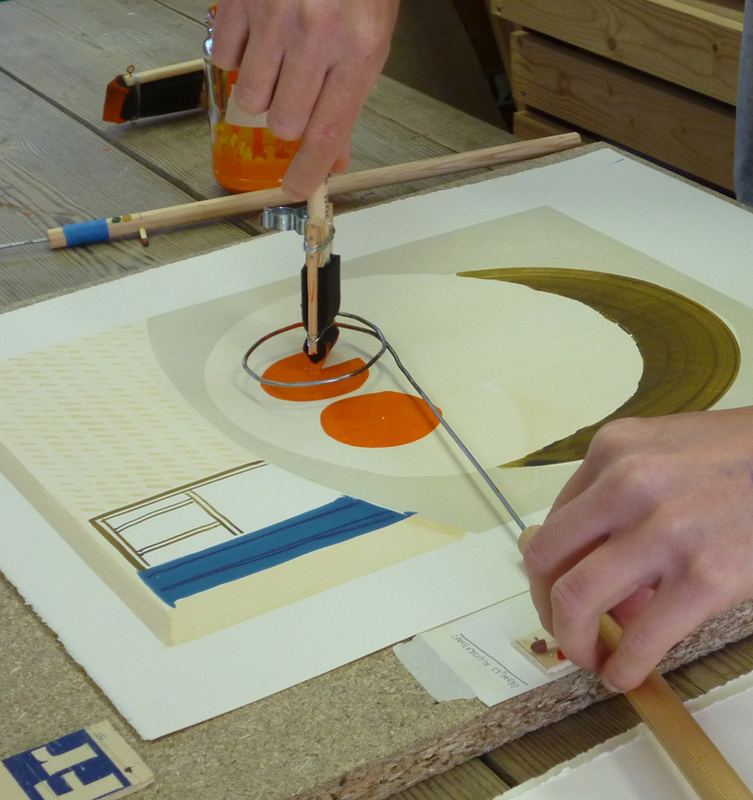 Helen Murgatroyd’s printmaking practice explores repetition, small-scale mass production and fruit & vegetables. She creates print editions using hand-built contraptions as well as traditional relief print processes. Food and still life imagery are familiar themes running through her prints, drawings and installations. Helen currently lives and works in Bude in North Cornwall. She studied MA Printmaking at The Royal College of Art and before that, Design and Art Direction at Manchester Metropolitan.